My empty balikbayan boxes – oh, the potential! About a week before I stepped on the plane to the Philippines, I sent myself two big balikbayan boxes stuffed full of clothes, electronics, and a great and varied collection of personal effects. Balikbayan boxes – or BB’s – are a simple and convenient way to ship some of your household goods if you ever decide to move to the Philippines. The boxes that I sent myself were each 24 inches by 18 inches by 24 inches and each cost nearly $85 USD to send to the Philippines. What’s good about that is there is no weight limit on the boxes – some boxes assembled by OFW (Oveseas Filipino Workers) to send to their families back home can weigh in at a few hundred pounds! The only negative is that it can take over two months before your boxes finally arrive as they are shipped via cargo ship. My boxes took 10 weeks to arrive: Eight weeks to get to Manila and an additional two weeks to get to Dumaguete. Keep in mind that I sent mine during the Christmas rush, when many Filipinos are sending BB boxes to their families over the holidays. 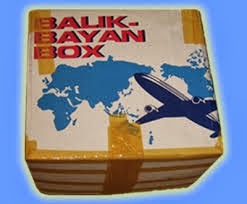 BB boxes (“repatriate box” in Tagalog) are intended as a duty-free way for Overseas Filipino Workers to send goods back to their families in the Philippines. It is also a remarkably convenient way for an expat to ship over a large number of personal goods. I utilized a company called LBC which had been recommended to me by other expats. 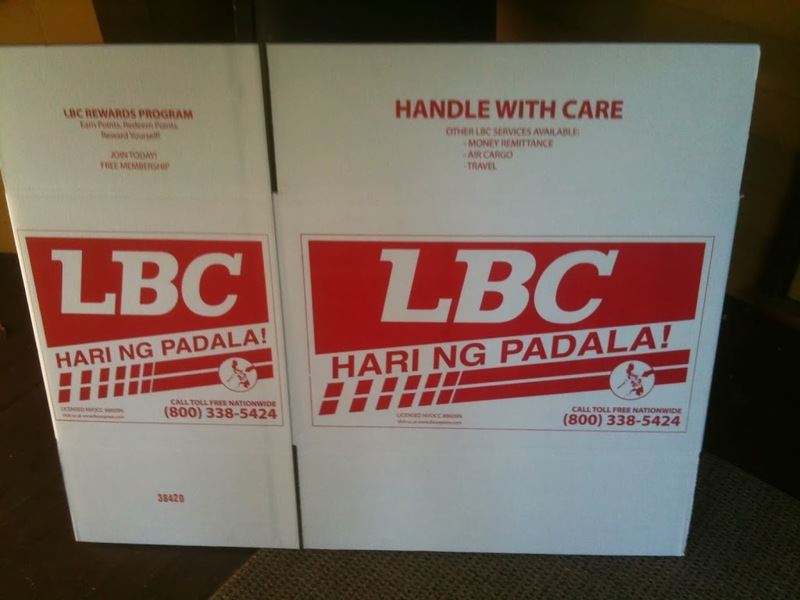 I purchased the boxes at the local LBC distribution site (a Filipino store/restaurant in Quincy, Massachusetts), brought them home, packaged them up, and taped them shut. I then called LBC who came over to pick them up: The guy labeled the boxes, took my payment and off they went!. LBC also provided online tracking, so I could get some general indication of where my boxes were. The entire process was very simple and entirely painless. The only actual issue I had was my own obsessive compulsive need to compulsively pull everything out and repackage it thinking that I had forgotten something. T-shirts – Lots of lightweight T-shirts – I run XL/XLL which is hard to find here. Jeans: Five pairs – will most likely never wear them – just too durn hot and humid. Socks: My genius self sent over 30 pairs. Most will be used as sock puppets during power outages. Sneakers/shoes: Available here, but a bit more expensive and hard to find your size. Undies: Boxers, baby. You’re in the tropics – got to let that area breath! Polo shirts: On the (very) rare occasions that I decide to dress up. Hats: I brought a spare jungle cap and a few extra baseball caps. Sun protection for my bald dome. Spare laptop: Electronics here are very expensive. Rechargeable batteries: Use them all the time and very handy. Get the Enloops. PlayStation 3: Rainy season recreation. A 1 TB USB drive full of computer games. A 2 TB drive filled with movies and TV shows as Netflix does not work in the Philippines. Two surge protectors: 120 Volt (doh!) so will most likely use them as paperweights. A spare copy of Jens Peters Guide to the Philippines (highly recommended!!!). Some personal paperwork: Not a lot – I had scanned all important documents before leaving. Some camping equipment: Ten, sleeping pad, lightweight sleeping bag, and an internal frame pack. And a whole bunch of random stuff such as old MP3 players, a few spare phones, assorted chargers, USB cables, and a boatload of assorted personal effects. Multivitamins: Vitamins/supplements here are very expensive and of questionable origin. Sheets: most here are cheap Chinese, of low thread count, and are ridiculously overpriced. Zip lock bags: quality ones here are almost impossible to find. Protein powder: powder here is twice the cost of that in United States. A backup GoPro Hero video camera. Kitchen utensils: Pots and pans are okay here but I have I should’ve brought all my utensils. My 47 inch LCD TV: TV’s here are approximately 150% of the cost in the US, and I could’ve shipped mine here for only about $130. new and intended for resale, you are okay. Customs can and sometimes does open and examine the boxes, but both my boxes arrived unopened. 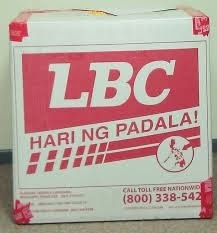 The best way to send a balikbayan box is to know somebody who is already there that you can trust with delivering them. I had belonged to an expat Philippine forum for over a year before actually moving to the Philippines, and one of the forum members was nice enough to receive my BB boxes and notify me of when they arrived. Meh – everyone’s a comedian. Who is Hari? They are supposed to go to me! Ned, just had quick question on supplements. I see you are a fitness minded individual and I was just wondering how you get your supplements. Have you had any challenges getting supplements from the U.S.? If so, what are your work-arounds? Thanks for all the info on what you have experienced and lessons learned. I am retiring in the near future from the military and have seriously thought about relocating, of course after I make a short visit to see if the PH would be a place I could live. Hey, Rick. I brought a huge bottle of generic “Centrum” multivitamins with me from the States and I buy fish oil supplements locally. They have supplements that you can buy here (lazada.com has a bunch), but they are usually more expensive. I am glad for the multi’s as my diet isn’t that great and something is better than nothing. I order my vitamins from Vitacost, Iherb, starwest botanicals and the likes, I then get everything sent to http://my-shoppingbox.com/ in California and they ship it to me in the Philippines for about 6$ a pound by air. The service is fast, and plus there are no duties or taxes to pay once they arrive. Thanks for that, Mario. I have never used myshoppingbox but I know a number of expats here who have and are very happy with it! Good day to you all, I m Bill Poker a Voodooist, herbalist and a spellcaster. I have solved problems for people, groups, companies,etc. So bring all your worries or problems to me and I assure u it will be solved at the snaps of your fingers, give INSTANT SPELLS a try. If u believe in me and my oracles, I will restore joy and happiness to your life. 9 HIV healing spell, 10 BUSINESS SPELL, 11 CONTRACT SPELL, 12 PROMOTION SPELL 13 SUCCESS IN EXAMS SPELL, 14 ELECTION WINING/political SPELL, 15 JOB SPELL, etc. I’m about to relocated to the Philippines (in 2 weeks) and packing my multivitamins, wheatgrass pills, supplement powder in LBC Boxes. Do you happen to know if we are allowed to send those items via Balikbayan Boxes or will Philippine customs trash them out or tax you for them? Just don’t send guns or drugs. I have never had a BB box issue nor has anyone I know had a problem. Good luck and have fun! Google is your friend. Look for Filipino or Asian markets. I send all my electronic stuff in balikbayan boxes.